Earlier, this week Google has announced the Android preview build for the public at I/O 2017. Google also discussed the new features that are coming to Android as a part of the Android O update. Have a look here for the new features in Android O. So, if you are a pixel or Nexus smartphone user and very enthusiastic to test out the preview build of the Android O? 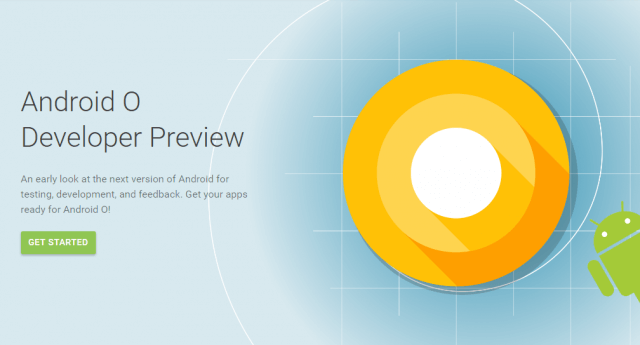 There are two ways for installing the Android O developer preview on your devices, follow our guide below. 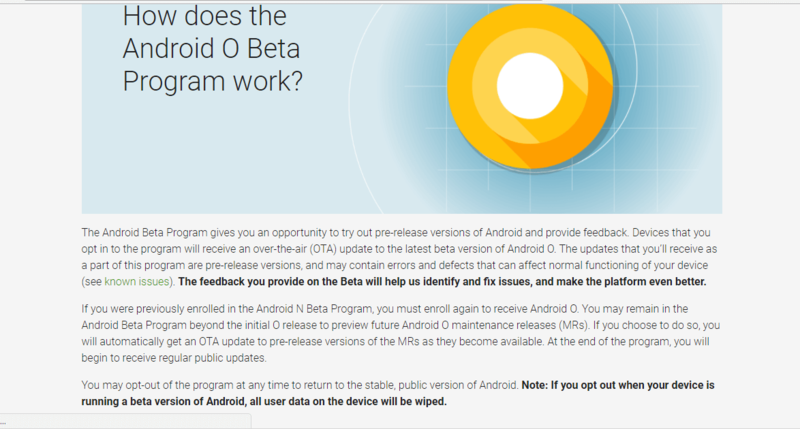 Method 1: Through official OTA update from Google, only for registered devices. Not a registered device? Don’t worry. We have provided the Signup link below. Method 2: Manually, unlocking and flashing the official zip from the Google. This one required patience & knowledge about rooting and other stuffs. This will also erase all the data from your device. Compatible Devices: Google Range includes Pixel, Pixel XL, Nexus 5X & 6P, Nexus player, Pixel C.
If you do not have any one of the devices mentioned above, do not follow this method; it may brick your device. Also, follow this guide carefully at your risk. We are not responsible for your errors. The easiest way of two. Get ready your device, Backup all your data. Open the Beta Signup link, register your device with the same email of your device. Accept the terms and make sure your device is ready with some optimal battery left. Wait for the update to download and then install. Once you reboot, your device will be ready with Android O preview. You have done updating to preview. Once Android O is officially released for your device, you will get an OTA update to the Stable version. Immerse yourself in the new features of Android O. Don’t forget to share your experience in the comments below. Before we proceed to the process of unlocking the bootloader, it is crucial to know that this process will erase all your DATA. So take a BACKUP of all your data on the target device. A little patience and presence of mind to follow the steps. The right command should give you a confirmation screen, erasing all the data on the device. Download the appropriate preview image for your device from this link, then unzip it to a directory containing the ADB. Open the extracted directory of the beta image and open the terminal there by holding down the shift, simultaneously right clicking the mouse. Run the following command, or you can execute the flash-all script that comes in the zip. This script installs the necessary bootloader, firmware, and operating system. Once it finishes, your device will reboot. Now relock the bootloader for security. Again locking the bootloader will wipe the data on some devices. After locking the bootloader, if you want to flash the device again, you must unlock again, which will wipe the data again. 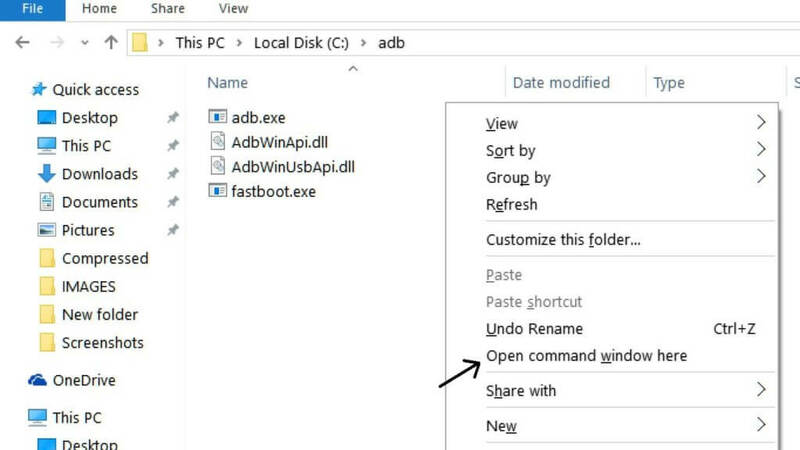 Start the device in fastboot mode again, using any one of the methods as described below. This method is hefty and has certain drawbacks. This process limits the OTA updates, and you need to flash the factory image later on, for the stable build. So unless you are geeky and comfortable doing this stuff, we don’t recommend this method to you. If you are stuck in between, let us know from comments below.